Perhaps the Premier intends to abolish the motor fuel and carbon taxes. ^ It has been an absolute roller coaster of gas prices in Vancouver. It was as high as 167.9 in the morning, and as low as 145.9 in the evening. We're back up to 162.9 in Richmond currently. Something interesting I learned recently: the total Washington State fuel taxes are only $0.02/L lower than in BC (excluding Victoria and Vancouver, which have an additional transit tax). WA has neither a transit tax nor a carbon tax. For reference, it's $0.2523/L CAD in BC, and $0.678/gallon USD in Washington. And yet the most expensive gas in Blaine is $0.83/L CAD. I’m not so sure. what do these things draw amp wise? the system could easily be set to only work within existing limits. it’s not like all 90 stalls in a 130 suite building must all be charging every day or night. They have smart controllers for this right now. It monitors load on the building and only dispenses the amount of power that can be spared. I believe it's a company out of quebec. No prepay in England, just drive in and gas up then pay inside. The first time I tried to fill up I was confused because I couldn't find the payment input on the pump. One twenty a litre sounds good until you realize thats pounds not dollars. So that's $2.09 a litre. 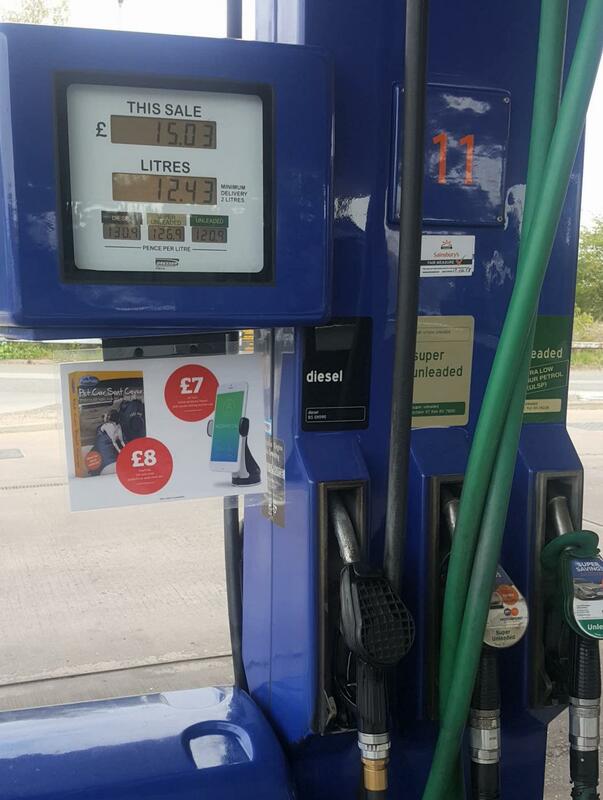 Gas is ten pence a litre more expensive if the station is on a major highway. Don't ask me why gas is sold by the litre but distance and speed are in miles. $1.35/L in Kelowna/ Penticton today seems like a bargain! ^Plus we had to pay a $12 a day emissions road tax on our rental car. There it is! $12/day that doesn't get spent on local tourist traps. Actually that wasn't the most expensive. I had to buy a small amount to get us into London, that was $2.53 for regular unleaded.